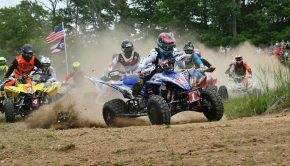 MILLFIELD, Ohio (May 27, 2018) – The stage was set on Saturday, May 26 in Millfield, Ohio for round seven of the 2018 AMSOIL Grand National Cross Country (GNCC) Series, an AMA National Championship. 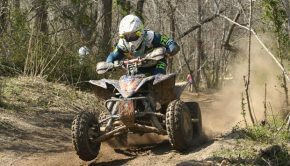 The historical Wiseco John Penton GNCC saw WFR/GBC/Fly Racing/Yamaha’s Walker Fowler take his fourth overall win of the season. 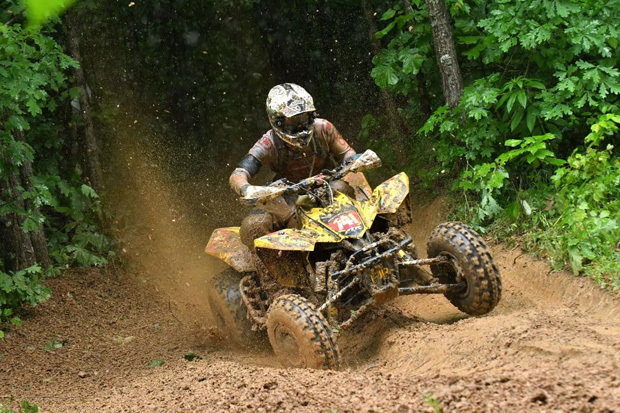 Walker Fowler earned his fourth win of the season at The John Penton GNCC. Fowler was looking for redemption, and that is exactly what he found after earning the $250 Wiseco XC1 Holeshot Award. As the two-hour event got started, it was Fowler taking the commanding lead until the checkered flag flew giving Fowler the win he was looking for. It appeared that Fowler had shaken off the bad vibes that have been finding him more often than not this season, and has his focus set on retaining the number one plate. 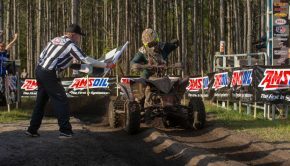 Several racers have capitalized on Fowlers misfortune, however maybe none have succeeded as Maxxis/Fly Racing/Ye Olde Cycle Barn’s Chris Borich and JMR/ATVriders.com/Maxxis’ Jarrod McClure have. Borich entered this season very fit and appeared eager to show that he still has what it takes to win races, or at least challenge for podium finishes. Here at round seven Borich would once again find success and claim second after a lengthy battle with McClure. 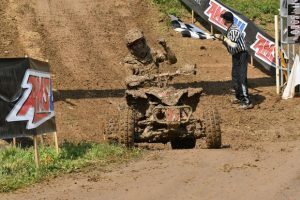 Coming off his win at the X-Factor Whitetails GNCC, McClure wanted to pull an upset and chip away at the points the two front-runners have on him. McClure found some speed in Ohio this past Saturday, as his come-from-behind manners were not needed when he found himself charging throughout the entire race in a podium contention position. After finishing third at round seven, McClure is now tied in the championship points standings for second. Chris Borich battled through the pack and earned second overall. Bneal Motorsports/CST Tires/Houser Racing’s Brycen Neal was throwing his home state roost around The John Penton course. Although his heart was set on a home field win; Neal had a solid ride earning fourth overall on the day. The young Ohio native will be one to keep an eye on, because he may have a few surprises to offer as we head towards the final two rounds before summer break. Charging through timing and scoring in third on lap one was AmPro Yamaha/Gear Alloy/GBC’s Cole Richardson. When Richardson came into the 2018 season he was at somewhat of a low point in his career, and he knew that coming back from an injury was going to be tough. Even though Richardson has not had the most consistent finishes this season, he has been putting in solid race efforts and finishing inside the top 10. Richardson came away with a fifth overall, but he could be another rider who has a breakout race in the coming rounds. Westley Wolfe put in an impressive ride, finishing sixth overall. Coming through in sixth overall was GBC Motorsports/RJR/Solo Pilot’s Westley Wolfe. Wolfe has had a consistent year finishing inside the top 10 overall at all but two rounds. While BNR Motorsports/GBC/Precision’s Josh Merritt had a rough start to the season, he has been steadily improving throughout the season and earned his fourth top 10 finish of the season. 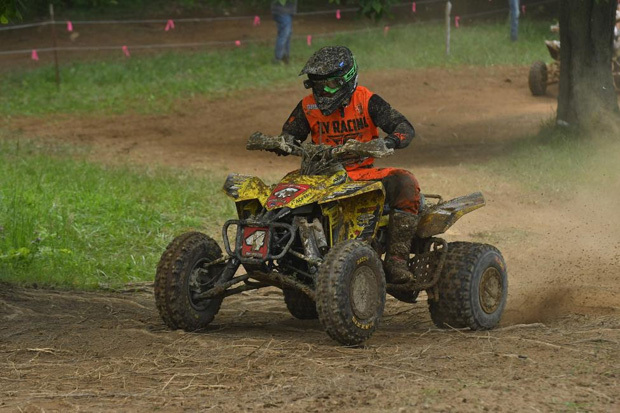 Spider Graphix/GBC Motorsports/Moose Racing’s Mary Christofferson came through in the eighth place position, followed by GBC/Fly Racing/HMF/Yamaha’s Johnny Gallagher and M.R. Unlimited/GBC Tires/RJR’s Devon Feehan rounding out the top 10 in the XC1 Pro class. 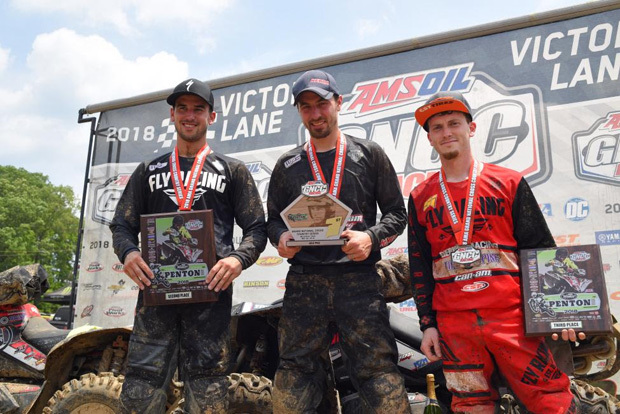 Maxxis/Ithaca Recreated Sports/Fly Racing’s Hunter Hart led the way once again in the XC2 Pro-Am class, earning his fourth consecutive class win. Yamaha-backed rider John Glauda Jr. followed Hart through the finish earning second, with Indiana’s Austin Abney taking home the third place position. Coastal Racing’s Drew Landers was running second, until running into some misfortune on the last lap, and ultimately finishing the day out in fourth. Honda rider, Ben Kowalewski rounded out the top five of the XC2 Pro-Am class. Kevin Cunningham (center) took the 4×4 Pro win, followed by Landon Wolfe (left) and Dwight Pollard (right). Cunningham Racing/Can-Am/Kenda’s Kevin Cunningham dominated the 10 a.m. race where he scored his seventh consecutive win. Cunningham and Can-Am/DeRisi Racing/GBC Motorsports Landon Wolfe have been going bar-to-bar at pretty much every round thus far in the year. Wolfe earned another second place finish in the 4×4 Pro class at round seven, but the epic races between these two has been great for fans as the racing remains heated. Dwight Pollard has been consistent all season, and earned another third place finish at The John Penton GNCC. GBC Motorsports/Yamaha/Fly Racing’s Traci Pickens won the WXC ATV class after putting in a very tough race. Pickens was joined on the podium by Spider Graphix’s Katelyn Osburn in second and Megan Shepherd in third. 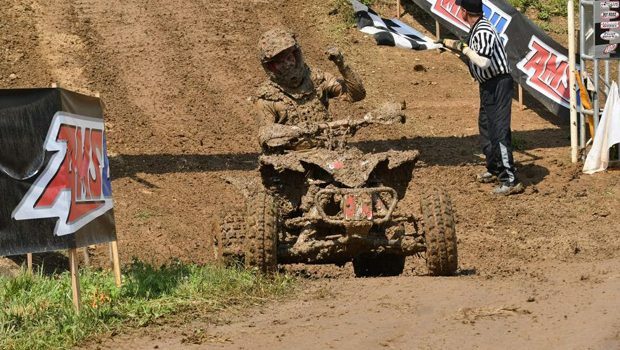 Shepherd found success at The John Penton as she landed her first WXC podium of the season, and after retiring from the ATVMX circuit we may see her make a harder push to repeat her success she found within the motocross series. The 8 a.m. youth race was one of the highlight races of the day as Layne McCormick put in a thunderous race winning the overall and YXC1 Super Mini Sr. class. Winning six of the seven rounds this season has McCormick well on his way to earning another championship. Bryce Husband finished seven seconds behind McCormick in second, followed by Keaton and Parker Henderson finishing third and fourth on the day. Damien Hawkins earned the YXC2 Super Mini Jr. class win, while Cooper Stewart took home the 125 Sr. class win, and finished 14th overall. 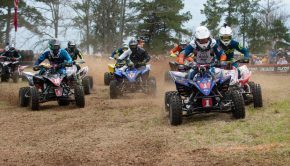 The 1 p.m. ATV Pro race was broadcast LIVE in its entirety on RacerTV.com and can be viewed as archived video online by visiting the GNCC LIVE page online. A highlight show featuring the event will be aired on the NBC Sports Network on Sunday, June 23 at 6:00 p.m. The 2018 AMSOIL Grand National Cross Country Series continues on June 9 and 10 with the Dunlop Tomahawk in Odessa, New York.